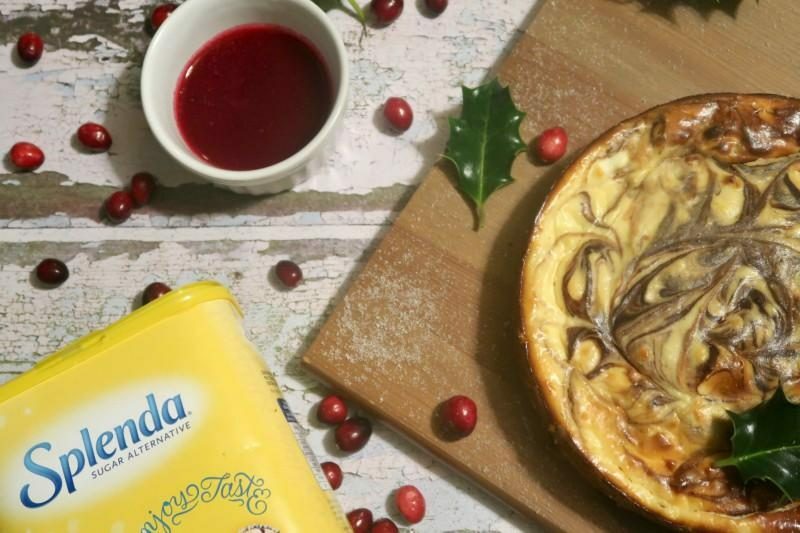 It’s not long until Christmas and that means it’s not long until we’re preparing all the delicious Christmas food. I have a very sweet tooth and when it gets to Christmas it’s really hard to not over indulge in all the sweet foods. As a pescatarian I am not so bothered about the main meal, just give me all the desserts and I’m happy! Ha ha! 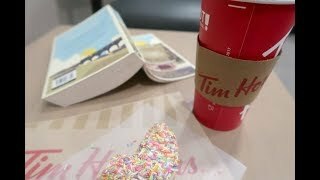 It’s not that I need to diet, but now that I don’t breastfeed quite so much I should really be cutting back on the amount of sugar I have each day. I can definitely tell that I’m adding on a few pounds, eek! 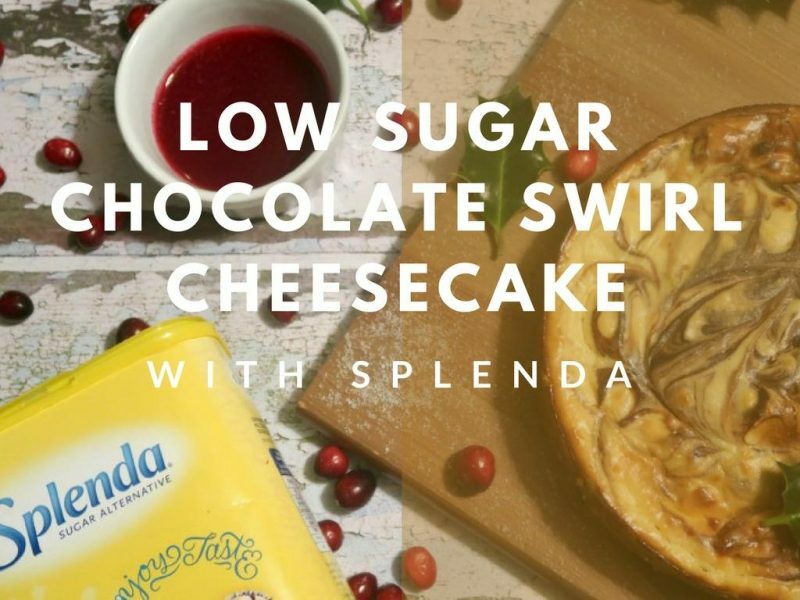 We don’t always need to go for the high sugar desserts, instead we’re taking part in the Splenda sweet life campaign and creating this low sugar chocolate swirl cheesecake. Line an 8 inch tin with baking parchment and brush with oil. 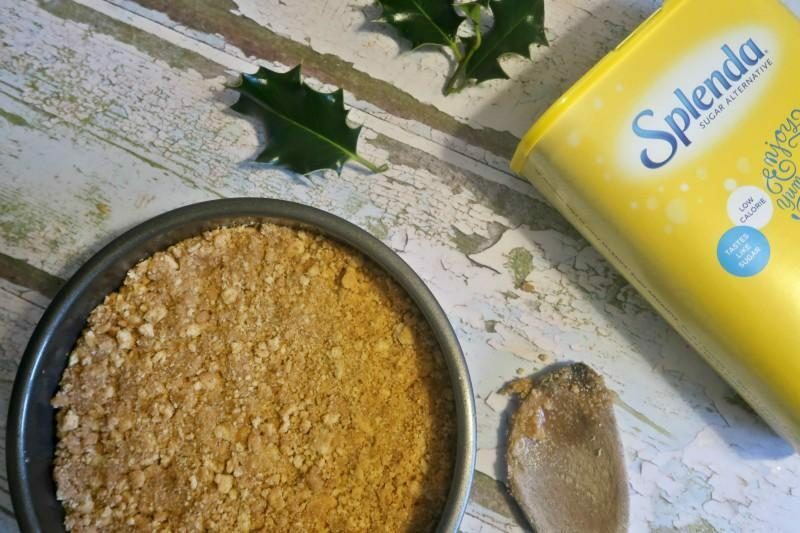 Mix the crushed biscuits and honey, then press the mixture into the base of the tin. Place in the fridge to chill until the rest of the mix is ready. Beat together the ricotta cheese, cream cheese and eggs until the mixture is smooth. Add the Splenda Granulated and stir well. Pour 3/4 of this mixture into a separate bowl. Stir the lemon zest into the 3/4 mixture and pour into the tin. Warm the milk on a low heat and add the cocoa until combined into a smooth mixture. Stir this into the remaining cheese mixture until combined. Pour into the centre of the cheesecake and use a skewer to make figure of eight motions until a marbled appearance is formed. Bake the cheesecake at 170 degrees celsius for 45-50 minutes until golden and set. Let the cheesecake cool slightly before serving. 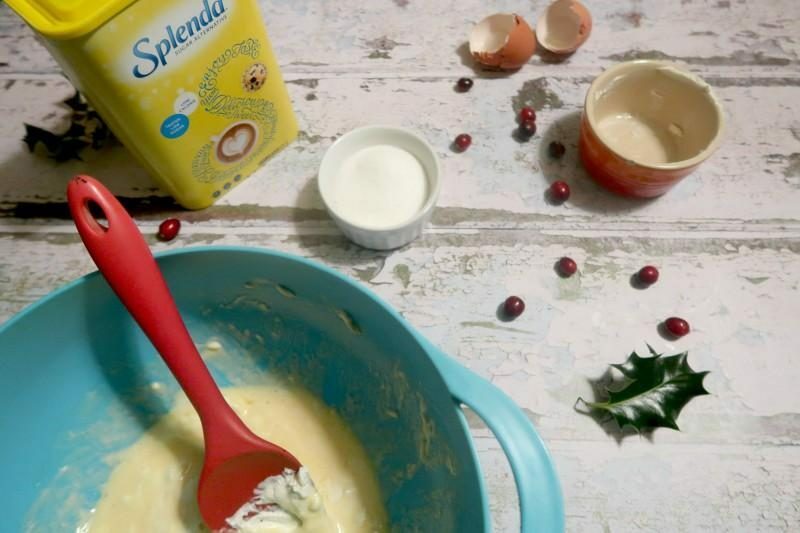 Boil the water and cranberries with the Splenda Granulated for 10 minutes. Remove from the heat and strain if necessary. The coulis can be served hot or cold. 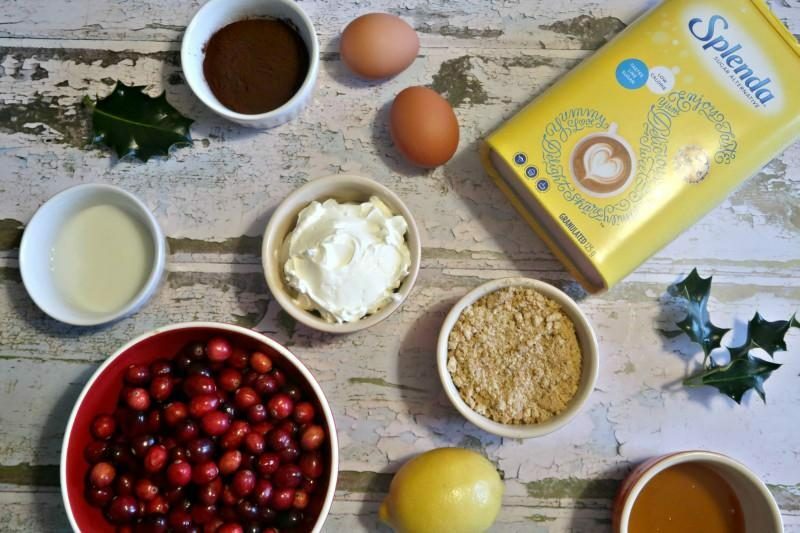 Trying to reduce your sugar intake around Christmas can seem a little difficult, but it really doesn’t have to be! 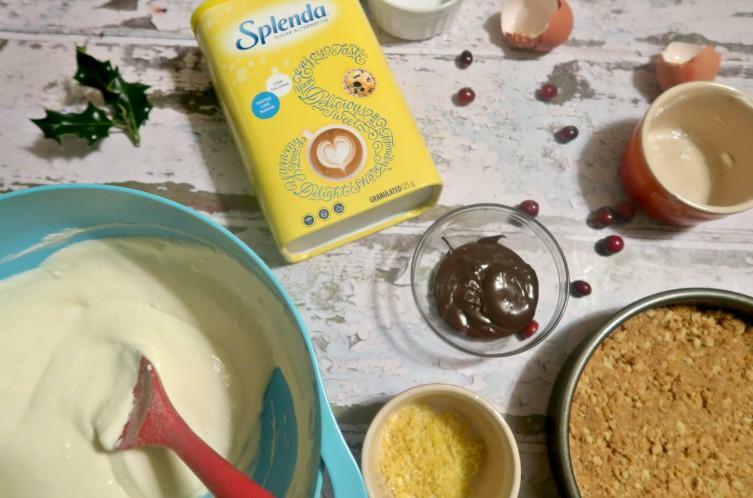 Splenda Granulated is made with Sucralose, so unlike other low sugar sweeteners it can be baked at temperatures up to 232 degrees celsius! 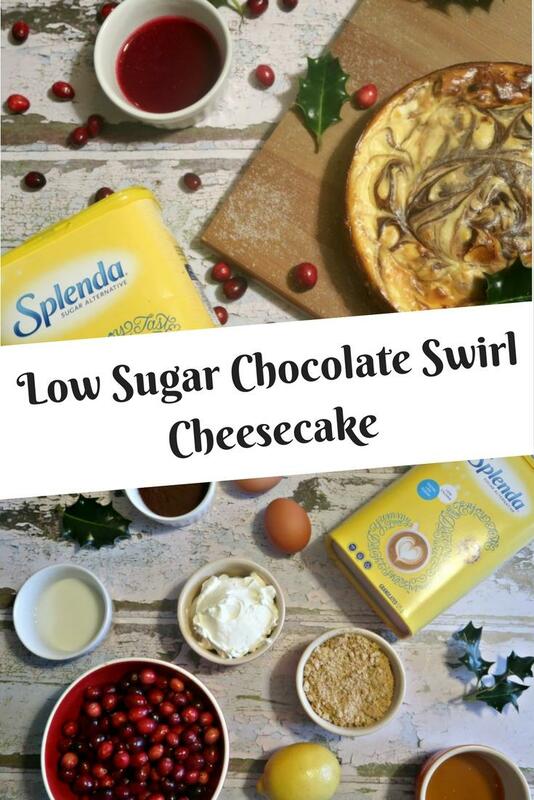 So you can use it as a replacement in many cakes and other desserts throughout the Christmas period and not worry about going overboard on sugary treats. Consultant Dietician, Helen Bond, tells us that ‘eating, drinking, making merry and splurging on extra helpings of sugar and fat-laden food can cause you to seriously pile on the pounds over the course of a few, short, pastry and party-filled weeks.’ On average, people gain between 1-5 lbs over the festive season, considering you only need to eat an extra 500 calories to a day over 5 weeks to gain 5lbs it’s not difficult to see how the festive season affects your weight. 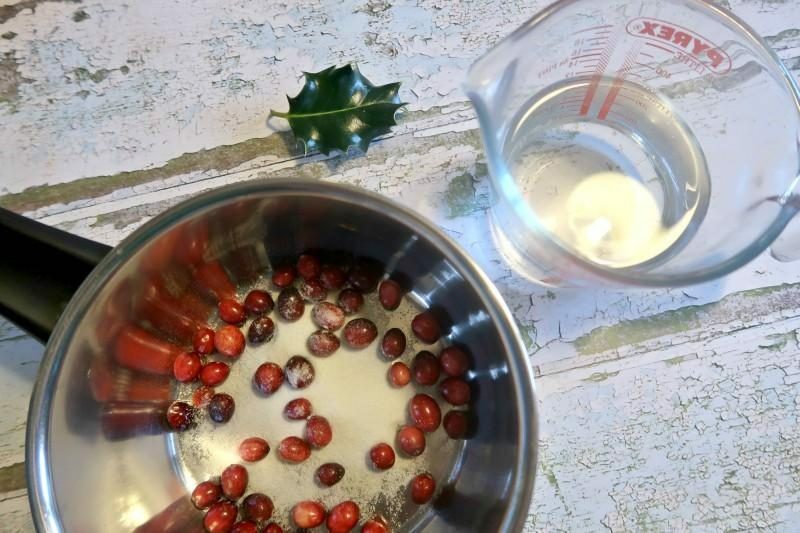 However don’t despair, Helen has many top tips for the festive season, including starting the day off with a healthy breakfast, making time of exercise and keeping in mind portion size. Of course swapping sugar in your tea for Splenda Granulated will also reduce your sugar intake, particularly if you are drinking several cups a day! 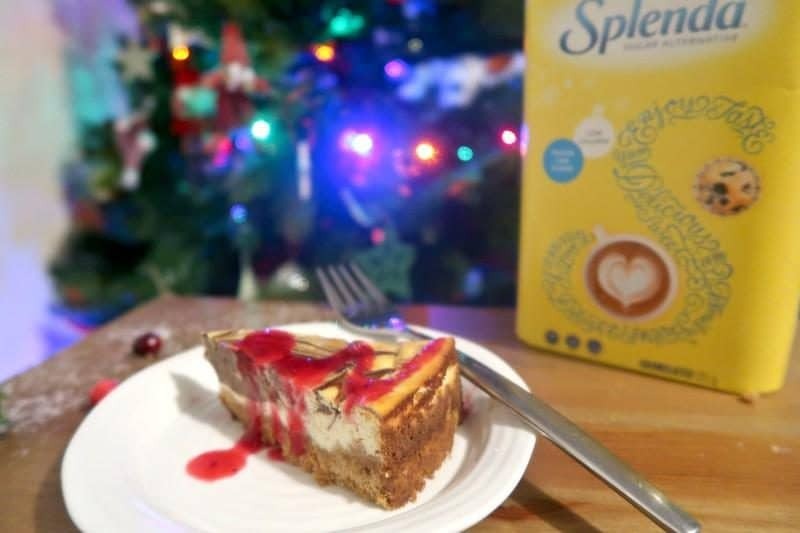 Tale the time to consider using a low calorie sweetener such as Splenda Granulated over Christmas and you may well have a healthier and happier start to the New Year. * This post is paid in collaboration with Splenda.